Our 100-Hour Intensive Teacher Certification Program leverages a very similar methodology, process and curriculum as our 200-Hour RYT program. Consider this training an excellent preparation for our 200-Hour RYT program if you so choose to move on to our next level. It’s a wonderful program to take if you just want to fine-tune and better understand your yoga practice. It’s also very cost-effective. You can expect the same high-caliber instruction and content as a 200-Hour program delivered in a shorter, more intense period. This program is not considered a certification under current Yoga Alliance standards. Applications for our teacher training programs are individually reviewed. Due to the structure and intensity of our teacher training programs, enrollment is very limited. We accept last-minute applications if there is space in the program. The above form will trigger an automated email that sends you your application and redirects you to the full application so you may continue it now if you like. Submitting your application indicates that you have read, understand and agree to all of the requirements for the training. You will hear back from us within two weeks. If you have not heard from us after two weeks, please call (904) 565-1005. Upon acceptance to the program, we will contact you via email. Please note: Applications will not be reviewed without an application payment. If you are not accepted to the program, your application fee will be refunded in full. For our 100-Hour program, all you have to do is start and complete the application process. The form to start your application is located on this page (above this section). We will review your application and get back to you with our response. The application review process normally takes between 1-2 weeks. There is a $250.00 application fee required in order for us to review your application. It is non-refundable if you are accepted into the program. It is refundable, if you are not. What style of Yoga is the MBody Yoga Academy 100–Hour Teacher Training? Our 100-Hour program is a Vinyasa-based school that teaches a method that balances precise instruction, detailed alignment, breath and fluid movement based upon the teachings of Baron Baptiste. Classes based upon the style of Baptiste Yoga are carefully designed to deepen the students’ experience of Yoga. Postures are skillfully sequenced, and modifications and props are used to individualize the practice for each student. At MBody Academy, we have been leading teacher trainings for over 10 years and have trained some of the most celebrated Yogis and Studio Owners all over North America and Europe. Our program is considered one of the most respected programs in Teacher Training with over 600 graduates and a 4.5 out of 5-star rating with Yoga Alliance. How proficient in Yoga do I have to be to do the 100-Hour Program? You don’t need to be proficient in Yoga to do our Teacher Training Programs. You are ready now irrespective of your experience. We believe you get experience from practicing the experience. What will I learn in the 100-Hour MBody Yoga Academy Teacher Training? No problem! Our 100-Hour training is ideal for those who want to delve deeper into personal growth and to improve their own practice. We have had many pregnant students in our programs. It all depends on how you are feeling. All students should first check with their doctor to make sure they are clear to take this training. What is Your Teacher Training Cancellation and Refund Policy? Students will receive a full refund (less deposit) if cancellation occurs within (7) days of the start of the training program. Deposit may be applied to a future program. No refunds will be made after program start date. If registering and paying via a payment plan, you agree to pay for the training in full and in accordance to the payment plan terms and contract. If you miss a training session, you are responsible for the installment payment. If you miss a payment, you will not be allowed to participate in the following weekend until payment has been made. What are the 100-Hour graduation requirements? What is the cost for yoga classes and workshops while I am enrolled in teacher training? Students enrolled in any of our 100-Hour programs can purchase a 1 or 3 month unlimited package for 50% off, starting the first day of your training. Additionally, those enrolled in our 100-Hour program will receive our member discounted pricing for all 2-3 hour workshops. You must be at least 16 years old to take the teacher training. If you are between 16 and 18 years old it is required that we receive approval from the trainer and written consent from your legal guardian 30 days before the start of the training? Do you help organize accommodations for travelling students? We do not organize accommodations for our Studio Teacher Trainings, but Craigslist and Air BnB are great sources for finding short-term housing. You can also see our Resources tab above for hotel accommodations in the local Jacksonville, FL area. All MBody Academy Teacher Training Manuals are included, but you will need to purchase additional required books. Please see the Materials tab above for further information. We typically have 10-15 individuals in our trainings but some classes can be even larger. What is the 100-Hour Attendance and Class Make-Up Policy? Please see our Catalog tab above for this policy. How much time should I expect to spend on 100-Hour homework? Expect to spend between 2-4 hours a week on homework (including practice teaching). The homework is designed to support the material covered in class and help you integrate what is presented into your own practice and teaching. If you wish to receive your Diploma and Letter of Completion for the course, you must attend all the sessions and complete all the homework assignments. Yoga Alliance is an organization that was started in 1999 as a way to create nationally recognized standards for yoga teachers and yoga teacher trainings in the US. More and more yoga studios across the country are requiring their teachers to register with the Yoga Alliance, either at the 200-Hour or 500-Hour level. Yoga Alliance registration, however, is not a legal requirement for teaching yoga. Currently, there are no legal certification requirements to be a yoga teacher. The MBody Yoga Academy Trainings are approved at the Yoga Alliance 200-Hour and 300-Hour level in the United States. MBody Yoga Academy trainings have a 4.5 out of 5-star Yoga Alliance rating based on past training participants. Please note: This program is not considered a certification under current Yoga Alliance standards. Is the MBody Yoga Academy Teacher Training qualification recognized around the world? Yes! The MBody Yoga Academy Teacher Training and School is globally recognized and respected which is why we have over 600 graduates. Our students come from all over the U.S. to take our training and to bring the knowledge back home to their own communities. What is the process for teaching at an MBody Yoga studio? MBody Yoga Academy seeks a diverse, committed, and well-trained faculty who uphold our high standard of quality for safe, effective, and accessible teaching in the field of yoga. The process to teach at MBody Yoga starts with joining our Teacher Mentorship Program. This program is available to you at no charge. In these sessions you will receive coaching and support from a Mentor (senior MBody teacher) as well as give feedback and support to your fellow participants. Once your Mentor believes you are ready to move on, you will audition with other MBody Yoga Teachers and Managers. Once you complete our audition process and are approved to teach, you will be placed on our schedule to teach a Community Class. You will join our Community Class rotation which is held on Saturdays at 4:00p and is open to the public. A Mentor will join you at each class. You will also be eligible to substitute classes until a class becomes available for you. Please note that being brought on as a teacher at MBody Yoga, or at any institution, is not only a matter of completing a training, but of the right teaching fit for that studio as well as the availability of openings on the schedule. It is never guaranteed. 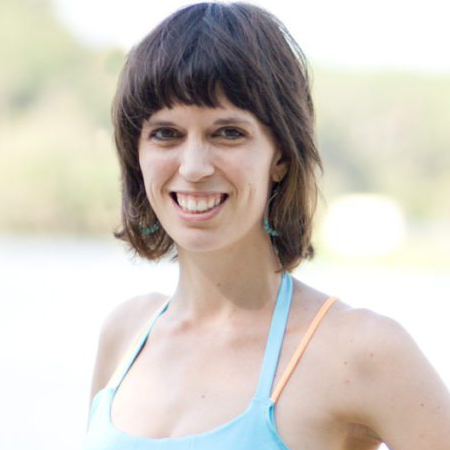 Chelsea is a certified Baptiste Power Yoga Instructor and the teacher/student advocate at MBody Yoga. She is 200-Hour E-RYT and 500-Hour RYT through MBody Yoga as well. It was her private music instructor that first exposed Chelsea to yoga through a “yoga for musicians” class. She was hooked and began to notice several benefits to having a regular yoga practice. She noticed a heightened sense of well-being and calmness in herself. The chronic back pain she suffered from years of playing an instrument subsided. One of the biggest results she saw was a decrease in her level of performance anxiety. 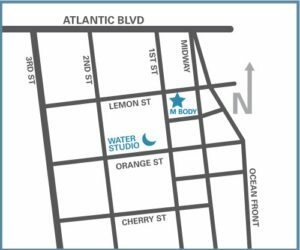 Soon after, Chelsea began to look for a yoga studio to practice at and found MBody Yoga. From the moment she walked in the door, it felt like home. It was the community, something she had never experienced before anywhere else, that kept her coming back for more. Two months later Chelsea signed up for Mark White’s teacher training program. Through her practice and Mark’s training, Chelsea discovered self-confidence and a passion to teach. She has been teaching for over six years now at MBody. Chelsea also teaches an adaptive yoga class at MBody through oMS Yoga, a local organization bringing yoga to people living with Multiple Sclerosis. In addition, she teaches at the Eisenhower Center to veterans and those recovering from sports injuries. She has taught at drug rehabilitation centers and senior chair yoga at a local community center. When Chelsea is not on her mat or teaching, she enjoys both playing and listening to music, being outdoors and is a dog and cat mom to four fur babies (one dog and three cats). 6 months – No payments and No Interest. Click here to learn more and apply. *no refunds will be issued after the start of the program. *all payment plans must be honored after the start of the program. Application Deadline for Registration: May 1, 2019. Full payment before: May 3, 2019. To confirm your space, full payment must be made. Payment plans are available. All payment plans will be scheduled and auto drafted. No refunds will be issued after the start of the program. All payment plans must be honored after the start of the program. Student will receive a full refund (less deposit) if cancellation occurs within (7) days of the start of the training program. Deposit may be applied to a future program. No refunds will be made after program start date. If registering and paying via a payment plan, you agree to pay for the training in full and in accordance to the payment plan terms. If you miss a training session, you are responsible for the installment payment. If you miss a payment, you will not be allowed to participate in the following weekend until payment has been made. MBody Yoga is a registered school with Yoga Alliance. Our teacher training programs for MBody Yoga have exclusive recognition and qualify for the 200 hour and 300 hour Yoga Alliance Certifications.